If you've never remodeled before or are taking on a big project, you may feel a little nervous. How much will it cost? How long will it take? Between the large expense and the excitement of anticipating your finished remodel, it’s hard not to feel a little apprehensive. Knowing what to expect can help allay your fears and make you better prepared for what’s to come. 1. Dust. Even with elaborate ZipWalls, a fine layer of dust can gather in parts of your home far from construction. There are a few ways to control it. If you can, close off the construction area from the rest of your house with a compression-fit temporary wall. Running air filtering systems called air handlers can also pull the dust from the air on the non-construction side of the house. 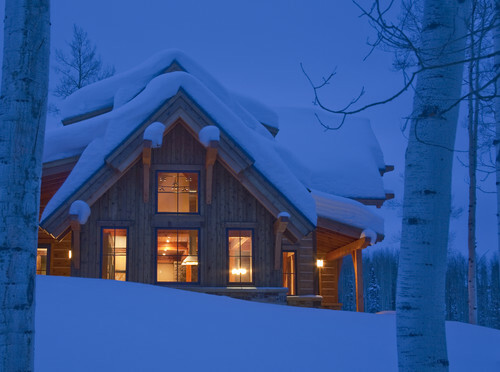 Heat the house without your furnace if possible, or completely block the warm-air and cold-air returns in the construction area. If you don’t, you’ll just be pulling dust from that section of the house into the part where you’re living. Consult an HVAC company before blocking ducts to make sure your furnace will still work effectively. 2. Noise. It will be incessant. Whining saws, scratching Sheetrock sanders and thumping nail guns followed by bellowing compressors: in short, little peace or quiet. Find another place to nap and don’t count on working from home unless your home office is far away from the construction zone. If you’re sure it couldn't possibly be that bad, visit someone else’s home under construction and you’ll see. 3. Triumphant highs. For you it may be the demolition of the ugly vinyl floors in your kitchen. 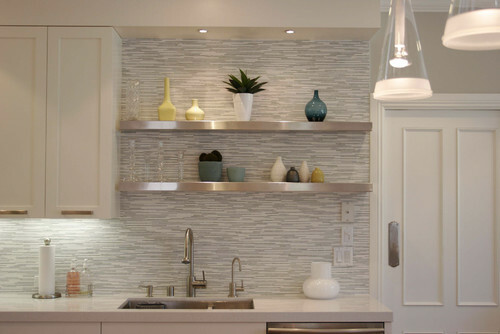 For others it may be the installation of the carefully selected backsplash tile. 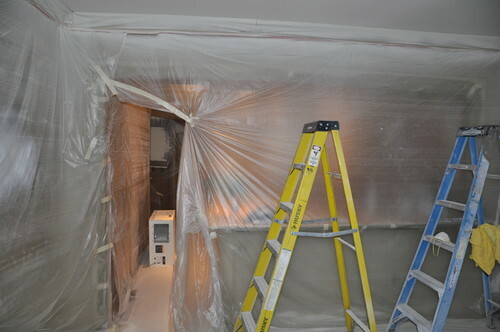 Others still may feel elated only when they see Sheetrock go in or get to relax when their project is completely done. 4. Multiple sighs. It may be that you just want to be done, or that you’re tired of answering so many questions and writing so many checks. Or you may just be tired of having so many people in your house. Hang in there — remodeling fatigue will be short lived when you get to move back into your newly remodeled space. 5. The unexpected. If you expect anything, expect this. 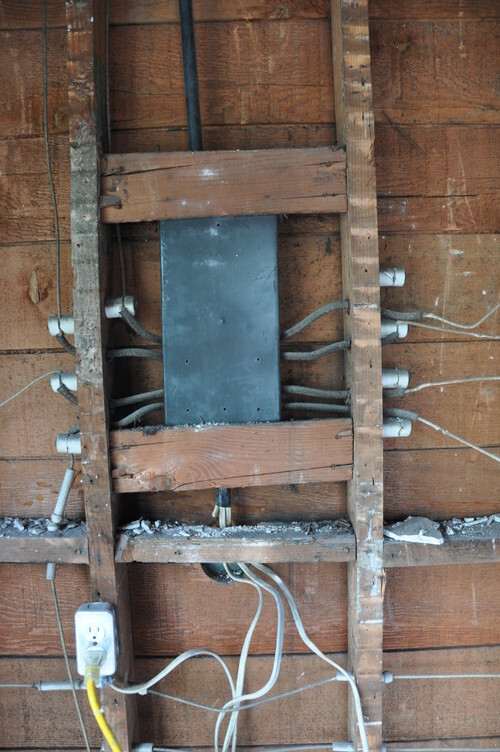 Asbestos, irregular framing, jerry-rigged wiring, funny plumbing and more unexpected surprises are bound to arise. No, you won’t be laughing, and neither will your contractor. Count on finding something no one could have anticipated in your budget and your time frame, and you will be well prepared when it happens. 6. Change orders. The unexpected’s cousin is the change order, by which any new and changed work is documented, along with added or reduced cost. Change orders can also be used to resolve allowances, which are placeholders in the budget for particular items. But most often change orders occur because of things that clients decide to add or change. When you absolutely positively have to have that Italian tile, you can bet a change order is on the way. 7. Cash concerns. Even if your project is right on budget, the sheer amount of money you are spending may cause a bit of a freakout. If you’re used to writing four-digit checks, you can easily be writing checks with one or two more zeros during a large remodel. If costs are increasing, along with change orders, it could increase your anxiety. Having cash on hand that's a bare minimum of 10 percent above contract for contingencies will help alleviate that stress. Have 20 percent if you want to worry less. 8. Delays. Snow falls, people get sick, cars break down and sometimes faucets ordered from the factory take 10 weeks instead of six. You and your contractor will likely be working from a schedule that assumes the world is a perfect place. It’s not, and knowing that will allow you to be resilient when your schedule shifts a bit. 9. Decisions. Where should that outlet be? How high do you want the showerhead? Where do you want the cabinet hardware mounted? Oil-rubbed bronze or chrome or brushed nickel or satin nickel? Is your head spinning yet? Count on hundreds of questions that you'll need to answer as your project proceeds, or select your architect as your proxy. Just know that your selection of a contractor is the first of many you will make. 10. Outliers. At the end of your project, expect one or two punch-list items that will take longer to resolve than anything else. It may be a light fixture that arrives broken or the very last two pieces of tile. The important thing is to get the final details right, even if they take a little longer. 11. A party! 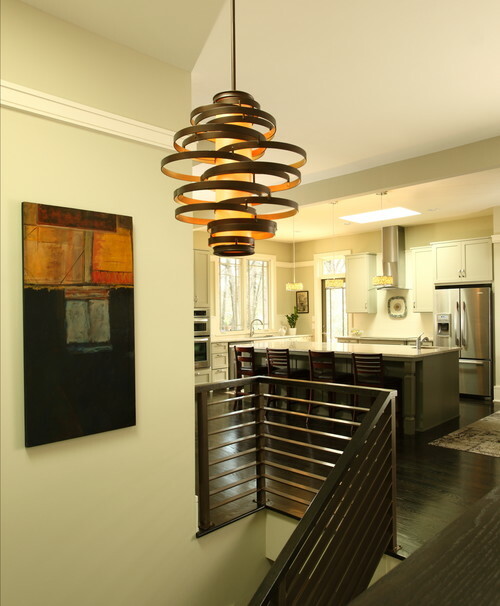 Expect that you will want to show off your newly remodeled kitchen, living room or addition. We have had clients throw parties and invite friends, along with us and our trade partners. It’s gratifying for everyone to see a beautifully finished home filled with people enjoying themselves. HART’S LOCAL GROCERS OPENING TODAY!